Carl Benz, Gottlieb Daimler, Ferdinand Porsche, Robert Bosch; all world-famous Stuttgart inventors who were instrumental in lifting Stuttgart and the surrounding region to prosperity - and whose companies remain successful to this day. 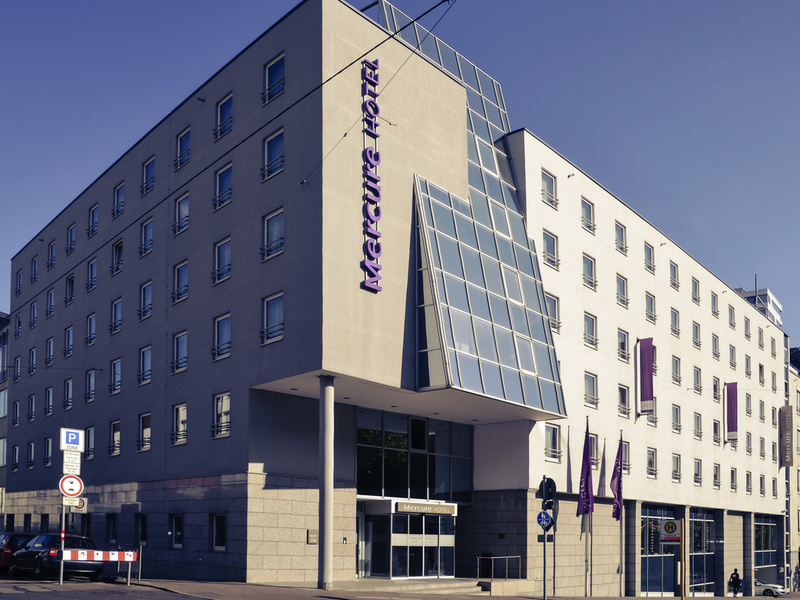 The 4-star Mercure Hotel Stuttgart City Center offers a choice of Standard, Superior and Privilege Rooms. The Privilege Rooms offer luxury facilities and a quiet location by the courtyard. All 174 rooms are air conditioned and have WIFI and DSL. hluss. Two children up to 12 sleep in their room for free. Your pet is welcome (fee 15 EUR/night). At our restaurant "11", we will serve you regional dishes and international specialties until late in the evening in a contemporary setting. Why not come and try our team's creations and unwind in the comfortable surroundings. The air-conditioned Eleven Bar & Lounge is the ideal place to relax and enjoy good conversation with other guests over a glass of wine or a cold beer. We are open every day until 1am.